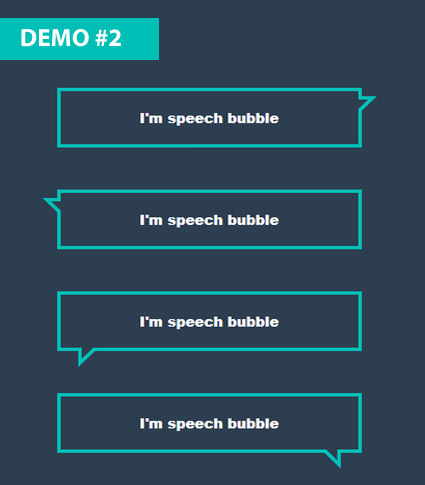 In this article, I’m going to show you guys how to create the different kinds of speech bubbles. In past creating a speech bubbles was considered as a very difficult task due to the usage of the images in it. 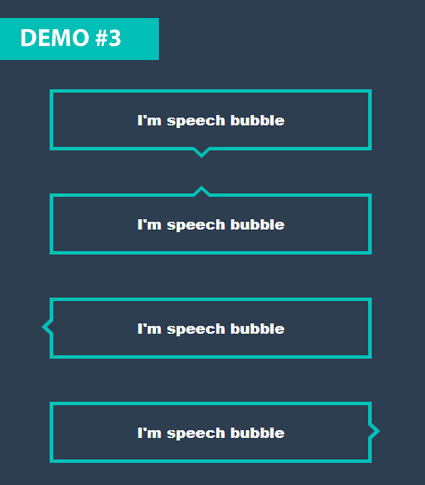 but nowadays we can create the speech bubbles very easily by using CSS3 Properties. Speech bubbles are the very nice way to indicate the content on the web and nowadays the speech bubbles are mostly used in the chat rooms. and we can see the speech bubbles used in the WhatsApp chat box and in many other applications. Speech bubble gives a great and very effective look. 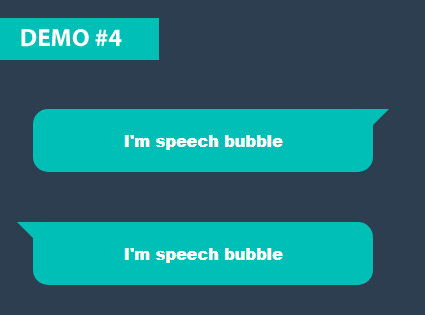 Before jumping into the coding — let me explain the basic concept behind creating an speech bubble, First we need to create a rectangle/box/circle using div element or any other HTML elements and after that we need to incorporate the different shapes of triangles/circles to form the different kinds of the speech bubbles. NOTE- Look at the above image, for creating the rectangular speech bubbles, I’m going to use two classes, the common class(class:box) is to create the rectangular box and different classes(class:sb1; class:sb2; class:sb3; class:sb4;) are used for creating different triangles, which are positioned accordingly. Start with markup, For creating a simple speech bubble we need a single markup element, here I’m going with div element with two classes in it. one class is for styling the box and one more class is for creating the speech bubble triangle. Check the styling for the class:box which I’ve mentioned above. Now style the same div element with class:sb1 ( this class is for creating the triangle for speech bubble), here I’m using :before pseudo element for creating the triangle. just by changing the top, left, bottom, right properties we can create the different kinds of the speech bubbles in this genre. NOTE- Look at the above image, for creating the rectangular speech bubbles, I’m going to use two classes, the common class(class:box1) is to create the rectangular box and different classes(class:sb5; class:sb6; class:sb7; class:sb8;)are used for creating different triangles, which are positioned accordingly. Start with markup, For creating a simple speech bubble we need a single markup element, here I’m going with div element with two classes in it. one class is for styling the box and one more class is for creating two triangles. Check the styling for the class:box1 which I’ve mentioned above. Now here we need a two triangles, where one triangle will overlay on other triangle. for achieving this effect, I’m going with :after:before pseudo elements. Now style the same div element with class:sb5 ( this class is for creating the triangles for speech bubbles). 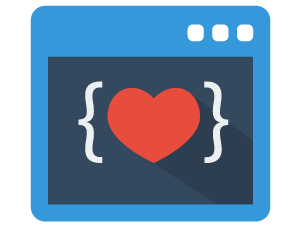 I’m using :before pseudo element for creating the one triangle. Now I’m using :after pseudo element for creating one more triangle and by adjusting the top,right properties we can overlay this triangle on other triangle. and by given white border-color border-left: 7px solid #fff;border-top: 7px solid #fff;we can achieve the effect which we can see in above image. NOTE- Look at the above image, for creating the rectangular speech bubbles, I’m going to use two classes, the common class(class:box2) is to create the rectangular box and different classes(class:sb9; class:sb10; class:sb11; class:sb12;)are used for creating different triangles, which are positioned accordingly. Check the styling for the class:box2 which I’ve mentioned above. Now here we need a two triangles, where one triangle will overlay on other triangle. for achieving this effect, I’m going with :after :before pseudo elements. Now style the same div element with class:sb9 ( this class is for creating the triangles for speech bubbles). Now I’m using :after pseudo element for creating one more triangle and by adjusting the bottom,right properties we can overlay this triangle on other triangle. and by given white border-color border-top: 10px solid #fff; we can achieve the effect which we can see in above image. Have a look at the above image, for creating the above rectangular speech bubbles, Just go through my first demo in this article and in addition to that we need to add the border-radius property to a rectangular box that’s it. 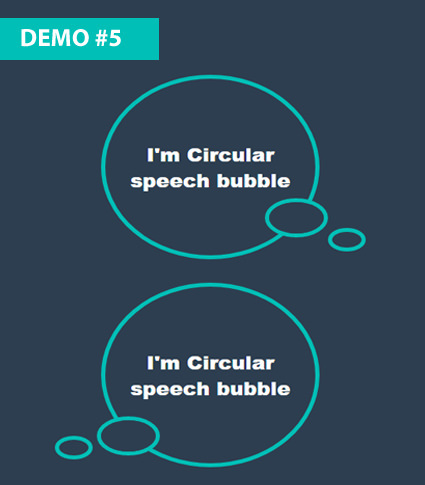 Look at the above image, for creating the Circular speech bubbles, I’m going to consider a div element with class:circular-sb and two more div elements inside the parent div element. Now style the parent div element with class:circular-sb , this is the larger circle with content in it. Now here we need a total of three circles, which we are going to incorporate into the parent circle. which we can see clearly in the above image. first we need to style the child div element with class:circle1 and then use the :before pseudo-element to get the above effect by overlaying the pseudo element on it. and by using top, right, left, bottom properties we can place the child circles where ever we want in the parent element. 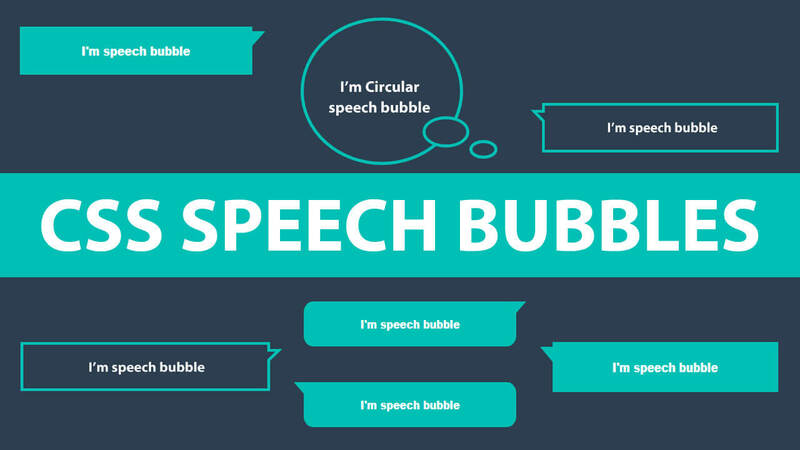 Follow the above steps and we can create many different circular speech bubble. 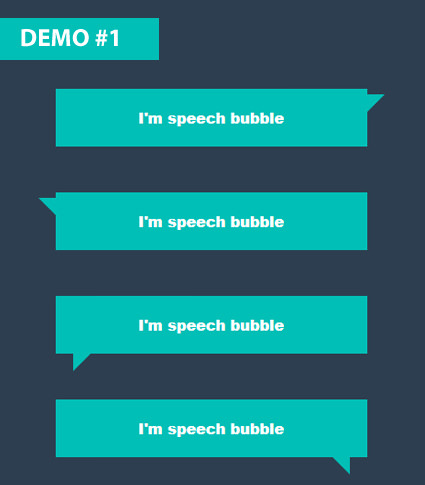 Check out the below demo, In which I’ve created few more different kinds of speech bubbles.